02 October, 2018 – The Vanuatu Tourism Office and Air Vanuatu have teamed up to offer Aussie agents an incredible incentive – return flights for four lucky agents, and a friend, to their choice of either tropical Port Vila (ex-SYD/BNE), or to the breathtaking island of Espiritu Santo (ex-BNE). To enter, agents simply need to sell Air Vanuatu from Sydney or Brisbane to one of Air Vanuatu’s international ports: Espiritu Santo or Port Vila, Efate*. The prize will be awarded to the top four agents who sell the most Air Vanuatu bookings throughout the month of October, 2018**. 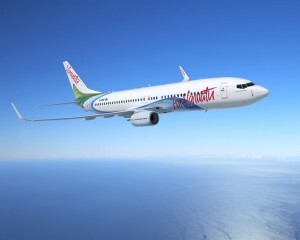 To make it even easier for agents to be in the running, Air Vanuatu has just kicked-off amazing sale fares. Return economy flights from Brisbane to Port Vila, and its recently increased flight route from Brisbane to Espiritu Santo, both start from just $469; along with airfares from Sydney to Port Vila on special for as little as $499***. In addition, massive hotel discounts across Vanuatu are also available throughout early 2019, making it even easier and more affordable than ever to holiday in Vanuatu.